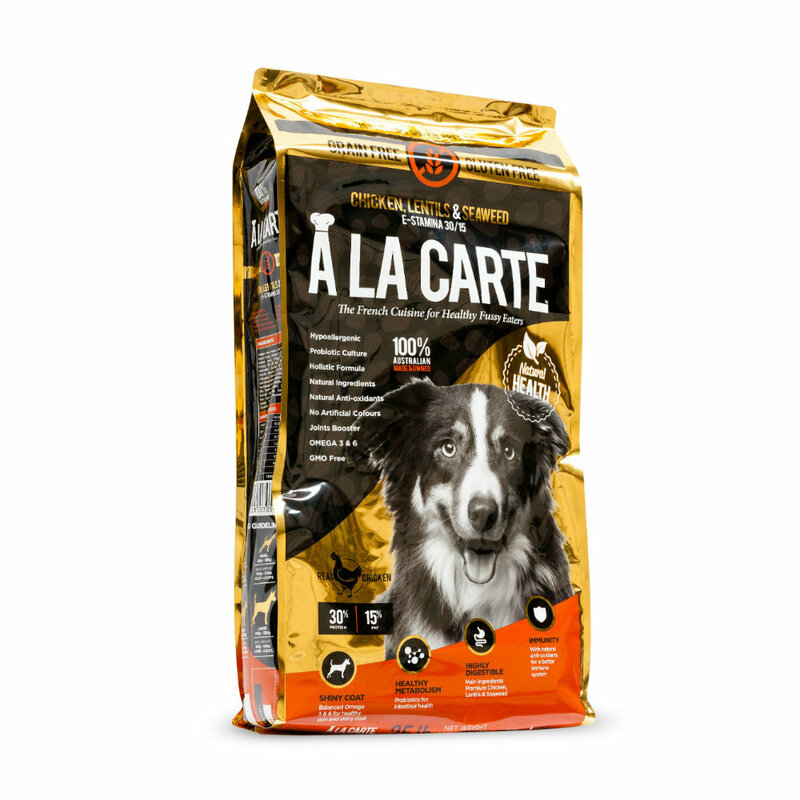 A La Carte have developed this e-stamina grain and gluten free formula to ensure that your dog is tail-waggingly happy at all times! Suitable for Active medium to large breed dogs over 4 months. Formulated with 30% protein and 15% fat, this delicious chicken, lentil and seaweed recipe will help to eliminate any digestive or skin issues associated with food allergies. Containing essential fatty acids, vitamins and minerals this food also ensures your dog's skin, coat and immune system are also being supported.